One of the new images from the Spitzer Space telescope made the news recently because two neighbouring starforming regions look somewhat like two incarnations of the Starship Enterprise from Star Trek. 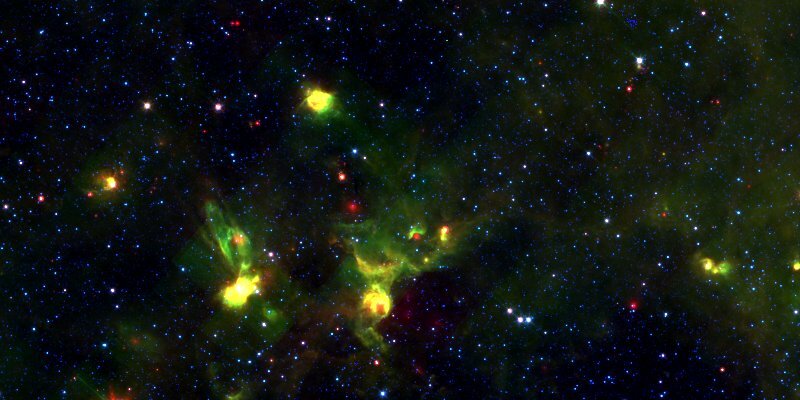 Right on cue to celebrate the 50th anniversary of the first episode of Star Trek the same image was found over on the Milky Way Project which uses infrared images from the Spitzer and WISE space telescopes to investigate the structures in these dusty starforming regions. Why not boldly go over there and see what you can find? www.milkywayproject.org.